The California Fair Employment and Housing Act (FEHA) is a formidable California law that – among other things – prohibits employment discrimination that reflects a person’s sexual orientation. FEHA regulations apply to all private California-based companies with more than five employees and to all public employers within the state. If you find yourself experiencing discrimination at work due to your sexual orientation, contact the experienced discrimination attorneys in San Francisco for sexual orientation at the law firm of Geonetta & Frucht. We have over fifty years of combined legal experience, we advocate genuinely on behalf of those who still suffer workplace bias because of their sexual orientation. Each of our discrimination attorneys represents clients in cases involving disability discrimination, age discrimination, national origin or race discrimination, sexual harassment, sexual orientation discrimination, gender discrimination, and pregnancy discrimination. If you are facing discrimination or harassment at your job, a discrimination lawsuit is more apt to succeed if you fully document all incidents of harassment or discrimination and include the dates, times, locations, and names of everyone involved. Hold onto any emails, written correspondence, or other documents that can verify your claim. If there’s a manager, supervisor, or human resources person you trust, go ahead and report the discrimination; the company may be able to remedy the situation internally. But if you fear retaliation or have any other concerns, speak with our experienced San Francisco sexual orientation discrimination attorneys first. Under FEHA, a sexual orientation discrimination victim must file a claim with the California Department of Fair Employment and Housing. Employees only have one year from the date of a discrimination incident to file a claim. If the agency determines that a violation has occurred, you may bring your case to an administrative hearing or move the case to civil court. After our attorneys assess the details of your case, our San Francisco sexual orientation discrimination attorneys can give you trustworthy advice about your best legal options and alternatives. Keep in mind, an employer having retaliation against an employee who reported discrimination is illegal; therefore, you should never feel afraid for facing your employer about this type of situation. Additionally, if you were terminated due to your involvement in reporting discrimination, that’s an example of wrongful termination. At Geonetta & Frucht, we represent victims of sexual orientation discrimination around the San Francisco Bay Area and throughout northern California. 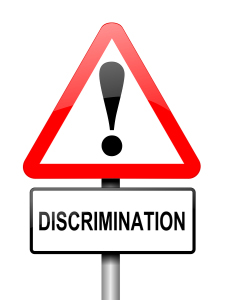 Contact our experienced team of discrimination lawyers at 415-433-4589 or via our website for an appointment. Your initial consultation with a sexual harassment lawyer is free.